Yummy really is a must if you are staying in Kalamaki, Zante. We ate there more often than not, It is hard to beat. the food is good the service couldn't be friendlier, Peter is very welcoming to everyone. A genuinely run family restaurant with Peter and his parents running it together. the food prep area very clean on open to view from the restaurant, with a wide range of food the Crepes are my favourite. Nice decor. An example menu home made bread and butter prawn cocktail, steak in pepper sauce, potatoes, salad, crape with walnuts cinnamon and honey, half a litre of good wine.total cost for 2 people, euro 16.99 !! good size portions nice ambiance and good quality food. Really cant do better! 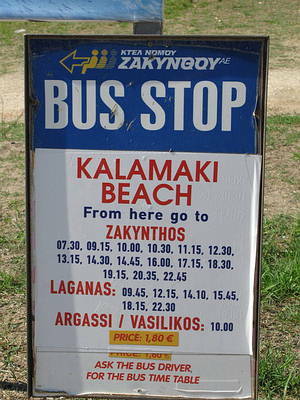 Just been on holiday for 2 weeks in Kalamaki. Tried a number of tavernas for the first week and then found Yummy where we ate for the rest of the holiday.Seven times. The food is excellent and varied and reasonably priced. The place is run by Barbara Pete and Petes Dad. what smashing people . Nothing is too much touble for them. So if you are in Kalamaki give this place a try. I am sure you will return. Our first visit to Kalamaki this May, bed and breakfast at the Marelen Hotel, lovely place, needed somewhere for an evening meal, found the perfect place at Yummys! what more could one ask for, the food was well prepared and delicious,we tried thier traditional Greek dishes such as Moussaka and Kleftica and they were delicious, the people whe run it are so friendly, they only took the place over last year so we wish them all the luck in the future, if they keep preparing meals like this they'll have no trouble, well recommended. Can't agree more Yummy's is the place for well prepared basic Greek food. I have been going there since they opened. Staff are very friendly and helpful. The last two years we have been regularly customers at Yummy. Pleace try the ginger salade, it's the most delicious salade I have ever tasted! And also the meat is very tastefull. Enjoy the hospitality of Takis, Emmy and the crew sitting on the terrace with a beautifull sunset on the mountains behind you. The price is very reasonable and the Grill knowhere in Kalamaki better! And you know how picky we Dutch are as it comes to price/quality well Yummy rises above most other places in Kalamaki! Emmy, Takis and all the others hope to see you all soon! Love the Dutch fam. Small menu but good selection. Excellent service and food was delicious and plenty of it. Very reasonable prices. Hello to Marco & Emmy - who work very hard here and at the kalamaki beach during the day. This Grill Houseis owned by the Kalamaki Beach Hotel, many of the stay pull double duty at the hotel and the Grill House. The food is as good as i have had, small menu meaning you know it is fresh and meaning choosing is a little easier! Gyros Pita's are just outstanding, as a main meal with salad or as a snack before a night out. Mixed chicken oor pork platters are HUGE and the Village Sausage is great done on the grill. It is so well priced, Gyros @ 2 euros make for a very cheap meal. All the staff were excellent, especially Emy who greats you and looks after you during the meal. If you go here for the first time tell Emy that Luke and Tina recommended Yummy and say hello for us! This is the place to go if your not looking for a FULL-ON meal. The food is excellent and cheap, nothing is too much of a problem. 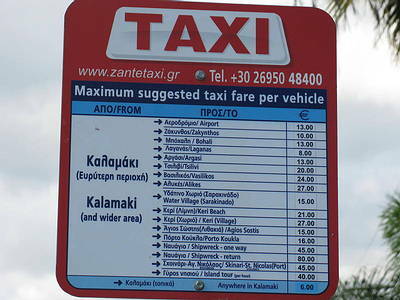 My Family has been visiting Zante for 9 years and we know the owner personally.